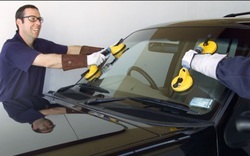 Auto glass Ondemand offers the fastest auto glass repair in Los Angeles County. 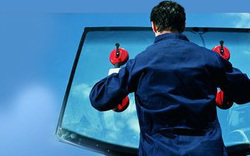 We at Auto glass repair Ondemand focus on providing our customers the best possible service. We only use high quality parts that meet or exceeds our customers expectations. Driving a vehicle with a cracked windshield might put your safety at risk in case of an accident. Talk to one of our auto glass agents to get a quick quote and let us take care of your auto glass needs. 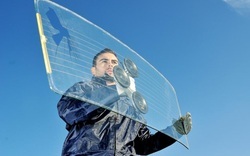 We have a huge inventory of auto glass parts. Our company provides Original Equipment Manufactured or OEM equivalent parts. Our work is guaranteed by a lifetime warranty on craftsmanship and factory defects on parts and auto glass repair. We provide mobile service with fully equipped units that can perform any glass and windshield replacement service at your work or at home. Look no further and try our exceptional service and be of our thousands of happy customers today. For your convenience we are open 7 days a week from 7:00 to 8:00 pm. Also feel free to email us and we will provide you a quote via email within a few minutes or you can click the chat box to chat online with one of our agents. Find out if you are located within our coverage area and get free mobile service for your replacement. Auto Glass Repair​ Los Angeles Ondemand advises you to get your automobile glass replacement today and get free mobile service. We at Auto Glass Ondemand delivers fast, expert, pleasant and Mobile automobile glass repair service and windshield repair in Los Angeles, CA, Orange County and Ventura County. No matter if It is really at the comfort of your own personal driveway or while in the parking facility in which you get the job done, we provide our vehicle glass maintenance expert service to you. We specialized in high end cars with built-in devices like Rain Sensors, Heads up Display, Night Vision, GPS, Onstar, Antenna, Heater, Lane Departure Warning System etc...﻿ We can do a driver side window repair, windshield repair or passenger side window replacement and back window repair as well. Contact us for more details on our service. 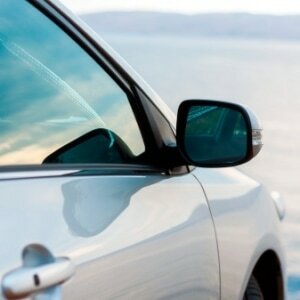 Auto glass repair in Los Angeles, CA. Get your auto glass repair in Los Angeles, CA. We provide free mobile service in Los Angeles County - auto glass Los Angeles - car glass repair in Los Angeles - auto glass replacement in Los Angeles, CA - auto glass company in Los Angeles - windshield replacement in Los Angeles, CA - auto glass shop in Los Angeles - car window repair in Los Angeles, CA - windshield replacement Los Angeles - mobile auto glass in Los Angeles, CA - auto glass in Los Angeles, CA - cracked windshield replacement in Los Angeles, CA - automobile glass repair in Los angeles - car window replacement in Los Angeles CA - mobile auto glass company in Los Angeles - windshield repair in Los Angeles CA - auto glass repair in Los Angeles CA - car window replacement Los Angeles - auto window repair in Los Angeles, CA - mobile auto glass replacement in Los Angeles, CA - mobile auto glass repair in Los Angeles, CA - mobile car window repair in Los Angeles, CA - auto windshield replacement in Los Angeles - auto window replacement in Los Angeles, CA - auto glass repair Los Angeles - mobile auto glass repair los angeles - auto glass replacement Los Angeles - mobile auto glass company Los Angeles - car windshield replacement Los Angeles, CA. All cars Makes and Models are property of their respective owners.